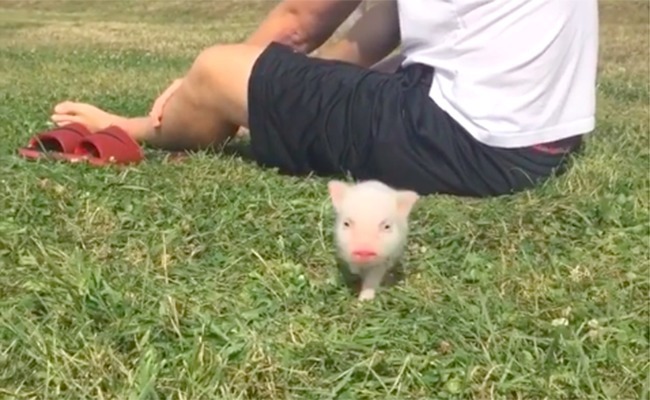 Care2 Healthy Living | Daily Cute: Hello, Piglet! Stella Max Johnson is a mini American potbelly pig. In this throwback video, baby Stella is enjoying a little outing at the park with her dad. Voglio vedere altri video come questi! !